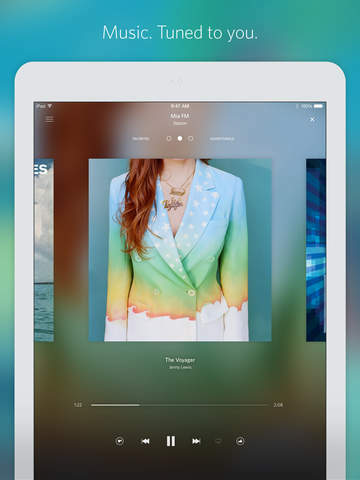 Rdio is music, tuned to you. Listen to endless stations — from artist stations to genre and curated stations, each drawing from over 32 million songs — on your iPhone, iPod, or iPad. 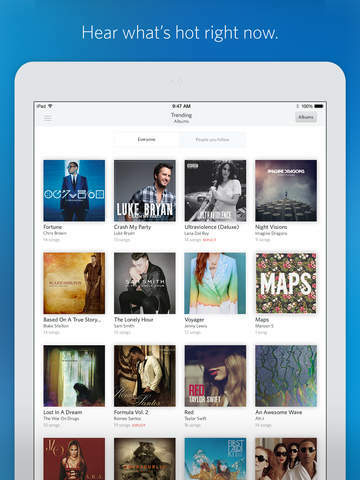 Or upgrade to Rdio Unlimited and play any album, song, playlist, or station anytime, on any device — even when you’re offline. Feeling social? Follow friends, artists, and other music lovers and discover what they’re playing. Rdio evolves to fit your taste, no matter how you like to listen: Free* – Stations based on artists, albums, genres, friends, and more – Curated stations to fit any mood Rdio Unlimited – Albums, songs, playlists, and stations – Unlimited mobile downloads for offline listening – No ads Praise from Rdio’s fans: “My infinite music landscape has found a happy home!” – Questlove, drummer of The Roots "Rdio feels more like a best friend who loves music than an app." 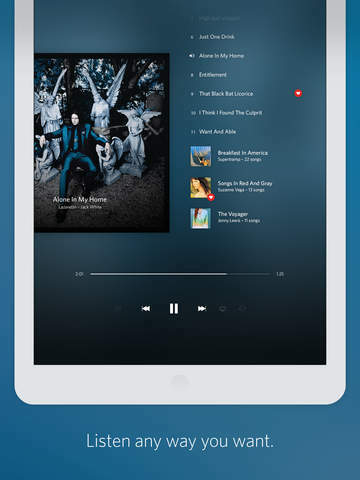 – @Visqis Praise from the press: “Rdio has by far the best app and online interface [of all streaming music services] . Grade: A” —Entertainment Weekly “It's the music discovery version of a candy store.” —Marissa Cetin, Mashable “Makes it so, so easy to find music you love, hopping from one act to the next.” —Alexis C.
– New Music Weekly Station. Listen to a handpicked selection of the week’s hottest new tracks, right from the New Releases section. 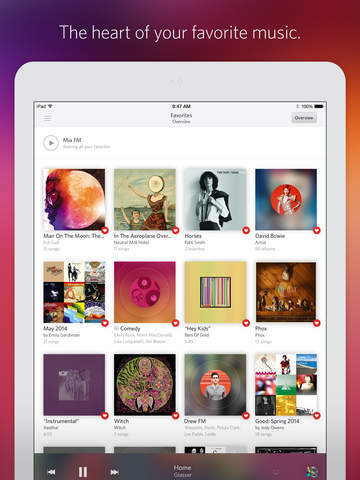 Find friends to share music with quickly and easily. 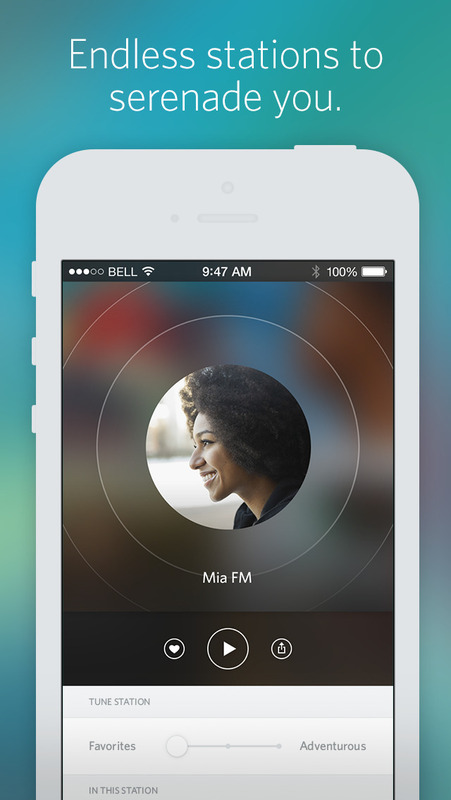 Press and hold while listening to any track, album, playlist or station to search for friends to share with.